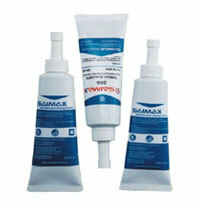 Saimax Thread Sealants are the best way to seal and secure metal pipes and fittings. Saimax thread sealants create instant seal to prevent leakage caused by vibration, shock, environmental stress, solvent evaporation, damaged threads, etc. There is a wide range of products sold by this company such as car repair sealants, automotive sealants, silicone sealant, and RTV sealant. These sealants are formulated with Teflon to provide high lubricity and to prevent the galling of the threads. Each product ensures effective result for which many customers come to Saimax Automotive and create a long lasting relationship in dealing with its numerous products. 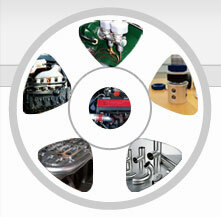 Automotive Specified: Contains no fillers or particles which could contaminates system fluids. Ideal for sealing and locking high pressure hydraulic & pneumatic systems. Applications: Brake fittings, transmission fluid fittings, hydraulic line fittings, etc. Automotive Specified: PTFE filled high performance thread sealant for metal, tepered pipe thread fittings. Provide instant seal to prevent galling and protect threaded areas from rust and corrosion. Applications: Oil & coolant lines, fuel fittings, oil PSI sending sensors, stainless steel fittings, head bolts into through holes, etc. Automotive Specified: High temp. sealant resist leakage, vibration and shock loosening, hydraulic fluids and gasoline. Seals and locks threaded parts and fittings.